Creative crochet and sewing projects. I know it's been awhile, life got in the way but I made a promise to myself when the new year started to indulge in my craft more. In the past few years I have averaged only a handful of projects a year. To date in 2016 I have completed 7 new projects with an 8th almost done. Two Artfully Simple Infinity Scarves This is a quick project, about 4 hours, and the results really make a statement. Today it's really cold here in Michigan so I am going to bundle up, pick up my hook and see what happens. Stay warm, see you again soon. 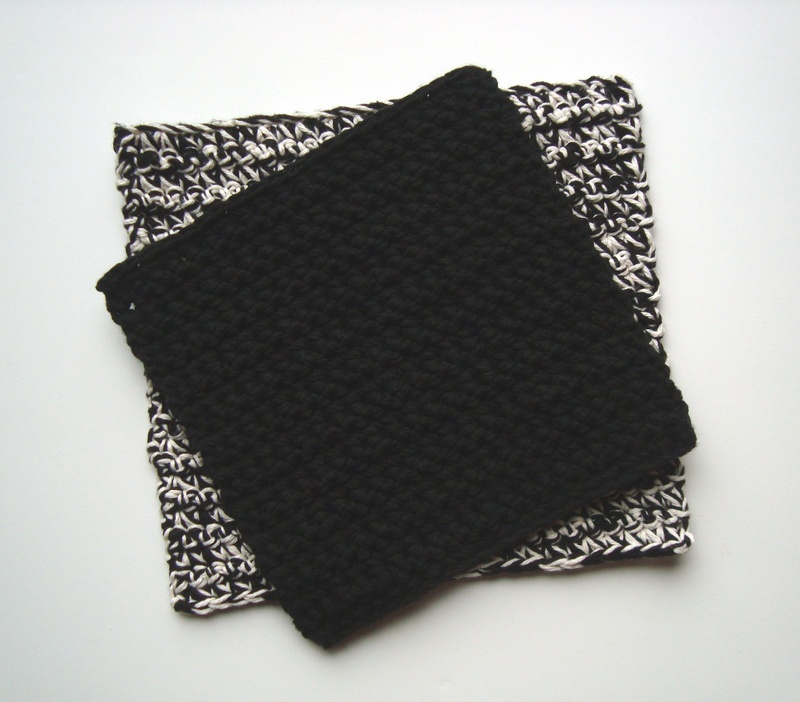 I recently learned a new stitch, the extended single crochet, and I immediately thought it would be a great stitch to use for hot pads/trivets because of the density of the stitch. So I decided to give it a try making a few hot pads for my son's new apartment. 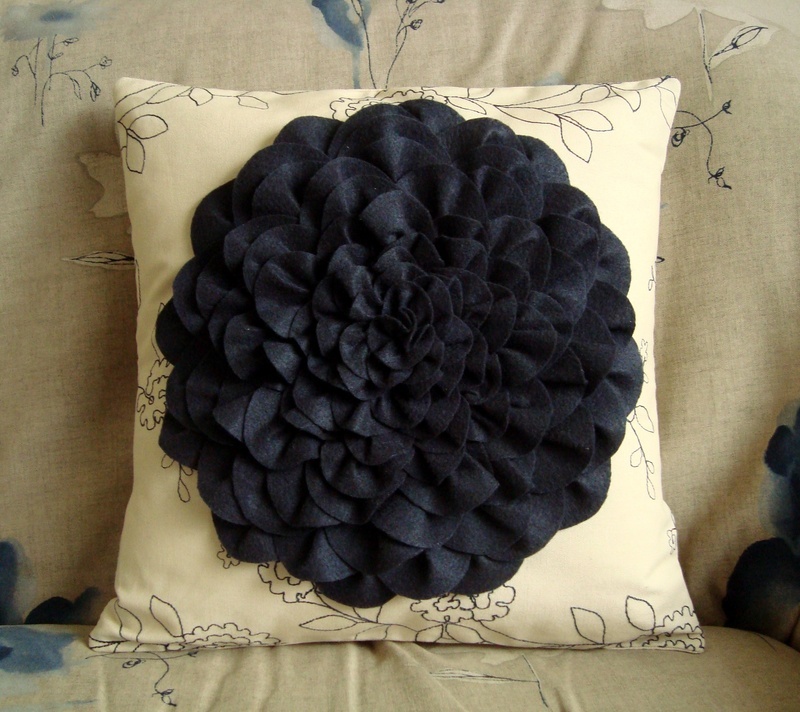 If you like to make things for your home or for others, give this easy pattern a try. You can adjust the starting chain to make them any size. 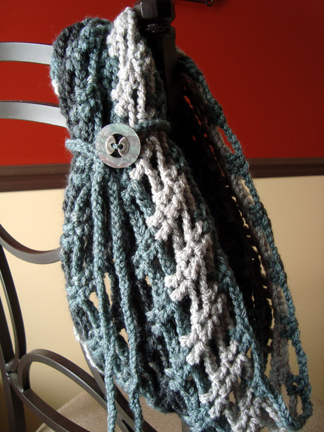 Use a single strand and you will have a nice dish/wash cloth as well. Extended Single Crochet Hot Pad/Trivet. 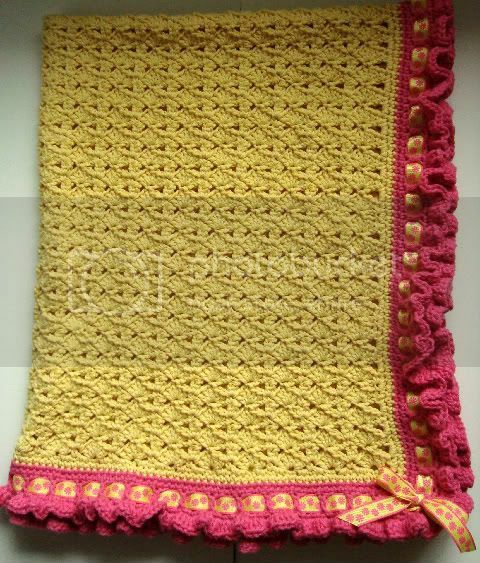 Another wee friend is coming in January and this blankie will help keep him warm. This is my Textured, Random Striped Blankie. Random stripe pattern generated using the Random Stitch Generator, beware it is addictive. It took me a good two hours to get a pattern that I loved, and then I still tweaked it. The finished size is, 36" x 42". I used Lion Brand Cotton-Ease [Seaspray: 2 skeins, White: 1-1/4 skeins (270 yds), Lime: 1-1/2 skeins (280 yds), Yellow: 1 skein (207 yds), Orange: 3/4 skein (150 yds)] and Lion Brand Martha Stewart Crafts Extra Soft Wool Blend [Sable: 1-1/2 skeins (225 yds)], but any medium weight (worsted) yarn will work. Row 2: Turn, ch 2 (or 3), dc into sc, sc into dc, repeat across row. Row 3: Turn, ch 1, sc into dc, dc into sc, repeat across row. Rows 4 - 123: Repeat rows 2 and 3 following the color pattern, sl st at end of rnd 123 to end off. Rnd 2: Do alternating stitch (sc, dc) around doing 1 additional sc, dc or dc, sc as pattern dictates in each corner. Rnd 3: Do alternating stitch (dc into sc, sc into dc) around doing 1 additional sc, dc or dc, sc as pattern dictates in each corner. Rnd 4: Do alternating stitch (sc, dc) around doing 1 additional sc, dc or dc, sc as pattern dictates in each corner. All rights reserved. This pattern is available to you for personal use, free of charge. Do not post this pattern on any other site without written permission from me, please link back here. I like to make blankets for special wee friends. Haley is a beautiful little girl who was born last month and this is the blanket I designed for her. I had recently gotten a new book called Triple Play Pattern Stitches by Leisure Arts and Stitch Eight seemed perfect for this project. My favorite yarn for baby blankets is Lion Brand Cotton-Ease and since her nursery was pink and yellow I had the perfect yarns in my stash, Banana Cream and Bubblegum, two of the discontinued colors. I was then on the hunt for ribbon and when I couldn't find anything locally I turned to Etsy and got exactly what I envisioned. Following the instructions for Stitch Eight from Triple Play Pattern Stitches complete 88 rows and slip stitch to end off. 1 round ruffle; 3 dc, 2 dc around with 5 dc in each ch 2 corner. Weave ribbon through round of [dc, ch 2, sk next sc], tie bow in corner. It is important that you stitch bow with needle and thread at corners to secure it. I am the crochet instructor at my local Jo-Ann Fabrics & Crafts store and this week I had to make my samples for the new classes starting in September and October. This was the first hat I had made (and I have made at least 100) that is made from band up and the scarf is made using a double strand. I am very happy with both projects and think that they are both great. 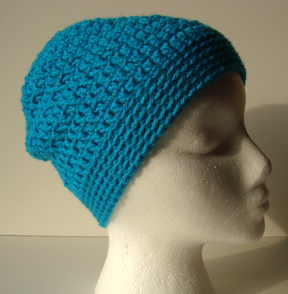 I already have 3 people wanting me to make them hats, so if you crochet check them out at your local Jo-Ann Fabrics & Crafts. 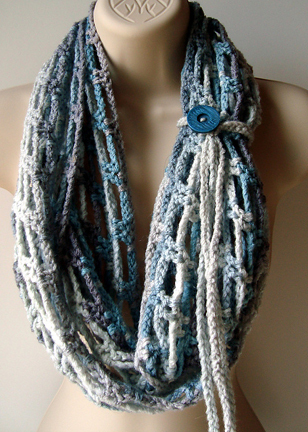 The scarf is class Crochet 102 and the hat is Crochet 202 at your local Jo-Ann's store. 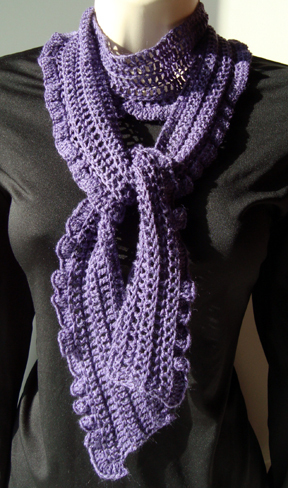 Both are made from Red Heart Soft Solids in color 3729 Grape. The button is by Belle for Dritz and is fabulous for this project. 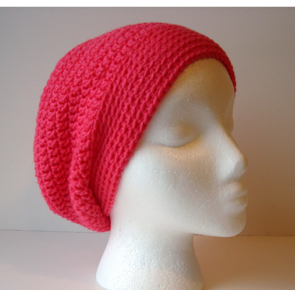 The hat pattern is the Fashionable Flapper Hat by Red Heart and I strongly recommend doing the swatch so you know what adjustments you will need to make. Buttons are a great way to add interest to any craft project. Yesterday I scored 26 great cards of button worth $110 for just $24. I got a buttons that retailed from $2.99 to $9.99 for $.25 to $1.97. Need a few fun buttons at a great price, head to your local JoAnn Fabrics store and look for the JHB Buttons clearance section and see what you can score too. Hurry as these buttons won't last long. 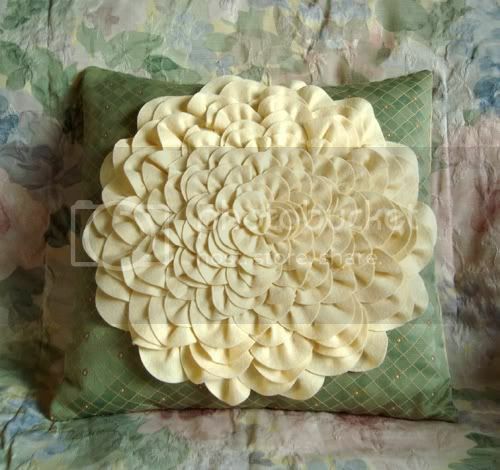 I recently came across a pretty pillow tutorial on the Cluck, Cluck Sew blog and knew it would be perfect for my daughter's room. Her room is black, white and fuschia. 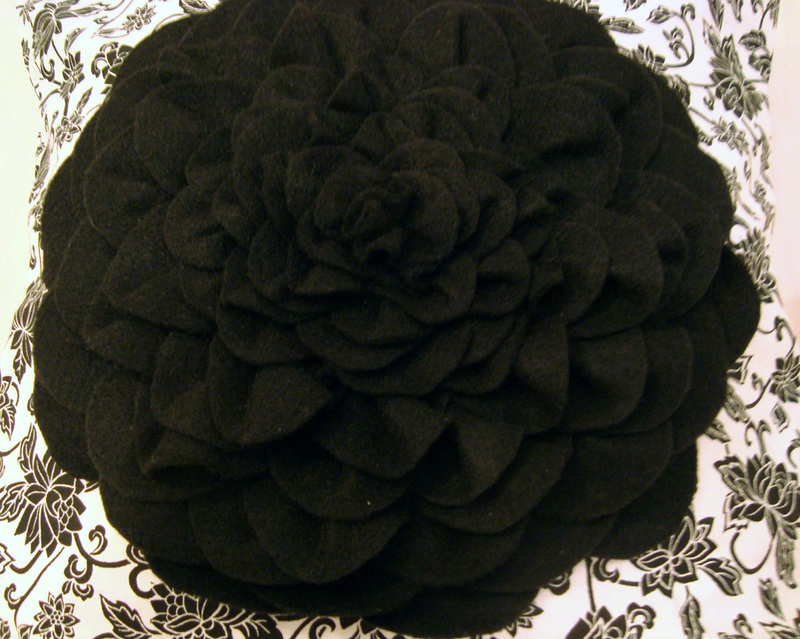 I knew that I had black felt at home so I decided to try a pillow with black on white fabric with a black flower as practice before attempting one using the material from the bag in which her comforter set came. I also didn't want to make an 18" pillow so I calculated the proportions for both 14" and 16" pillows. 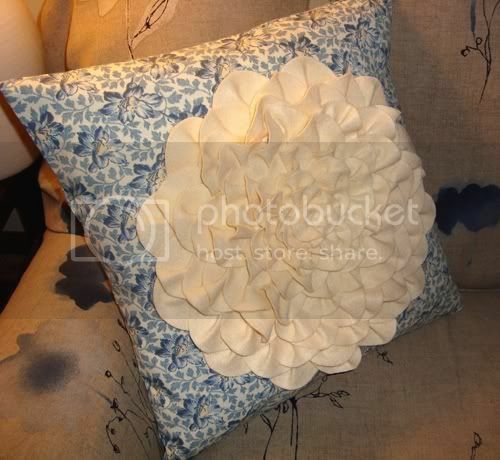 Circle Sizes: 2-3/4" & 2"
Circle Sizes: 3-1/8" & 2-1/4"
After I was satisfied with the 14" pillow I found some fabric that was perfect for my living room, (the front was a discontinued fabric sample piece which they were selling at JoAnn Fabrics for $1) to make a 16" pillow. When making this one I made a few "adjustments" from the first. I started shaping the petals from the beginning round and when I transitioned from the large to the small circles I did one round combining both large and small, 1 large, 2 small, etc. and then continued with the small circles to the center as written in the tutorial. I rarely make things for myself, so I was thrilled with the results and now I want to make one for everyone I know. Next is the 18" black, white and fuschia for my daughter. This is a great project with endless combinations, so give it a try. 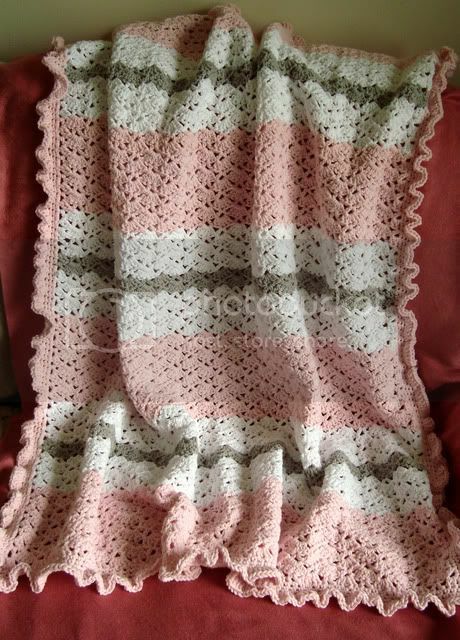 A good friend is having a baby girl in September so I wanted to make her a special, girly blanket. I looked at many patterns and projects and finally decided to create a blanket using the Snapdragon Stitch. 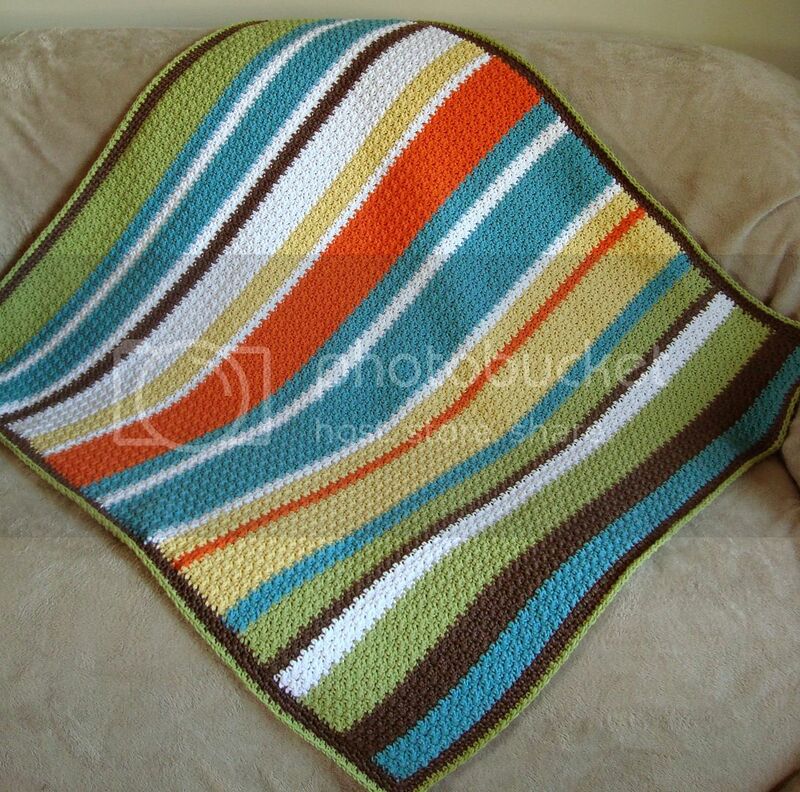 This is the "recipe" I used to create this blanket. Approx. 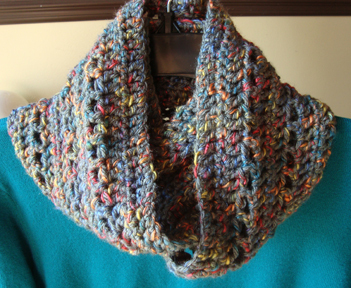 1200 yards worsted weight yarn, I used Lion Brand Cotton Ease. This is approx. 6.2 skeins or about 22 oz. ; 3.89 skeins pink, 2.29 skeins white and 1/2 skein stone. 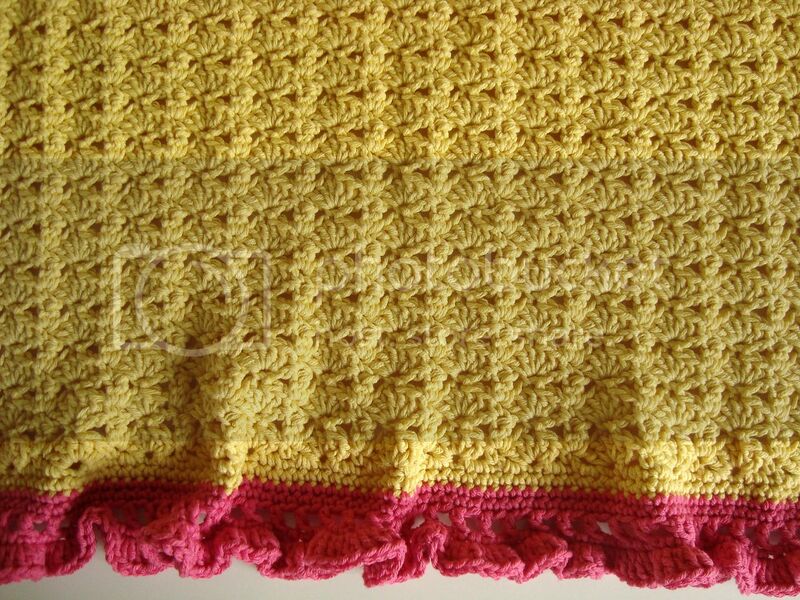 Continuing with pink, do 3 Rows sc, evenly spaced, around the outside edge of the blanket, doing sc, ch 2, sc in each corner. 1 Row of Ruffles, I alternated 3 and 2 dc in each sc around, doing 5 dc in each ch 2 sp of each corner. I would have done 3 in each, but I would not have had enough yarn. 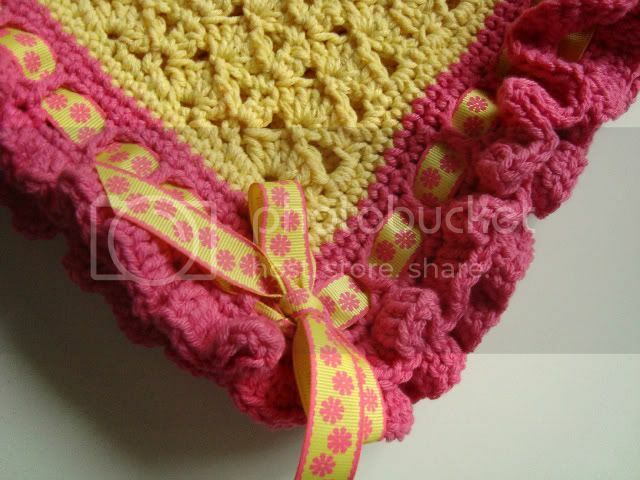 That is all there is to making your own Ruffled Snapdragon Baby Blanket. The finished size of this blanket is 36" W x 40 " L, but I tend to crochet a tight stitch. A few weeks back on Ravelry the pattern for my Lacy V Shopping Bag was linked in a group dedicated to knits from the store Anthropologie in response to trying to find similar patterns for the Everbloom Bag. I took one look at the Everbloom Bag and recognized the stitch used immediately and decided to see if I could recreate the look. It didn't take me long and I had the pattern figured out, it pays to have made so many bags with a similar shape. 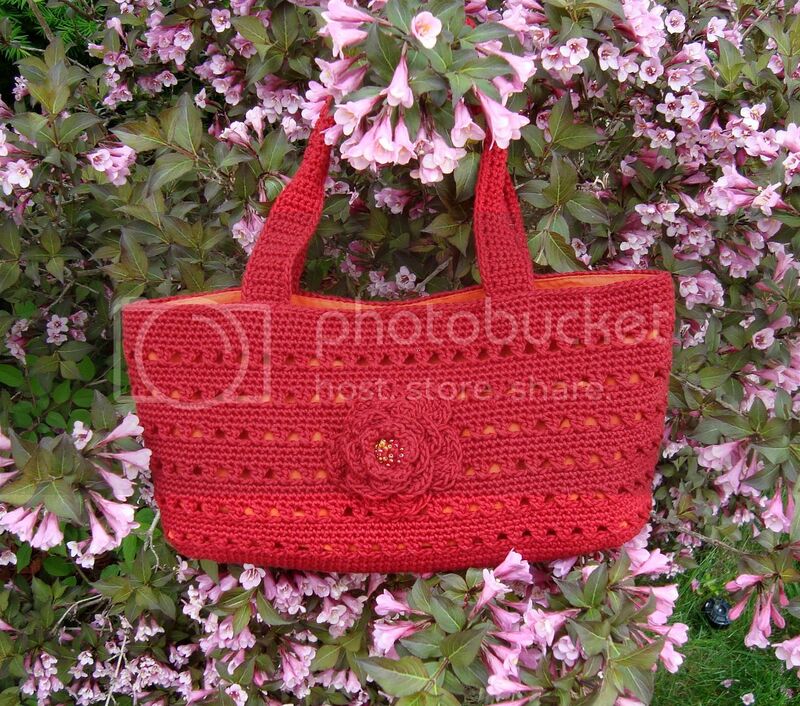 Since that time I have been working on completing my bag, writing and editing the pattern and to that end I bring you my pattern for the Bloomin' Bag, PDF file (this is the pattern). Note, I made my bag using a DK weight, mercerized cotton yarn and it took approx. 400 yards. The bag pictured is approx. 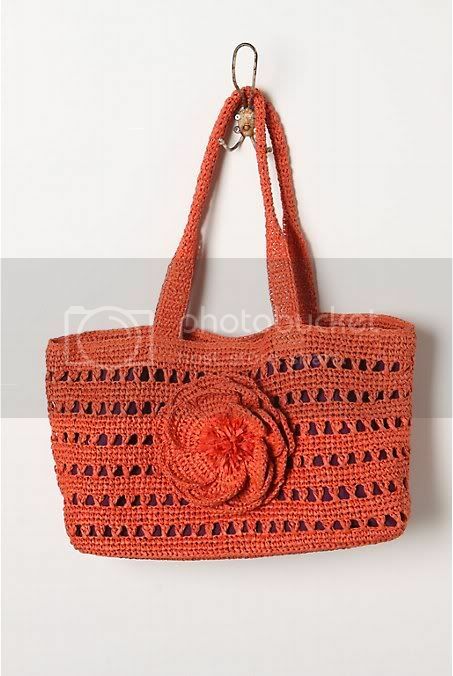 12-1/8" W x 6" H x 3" D.
My new pattern for the Textured Mesh Tote is now available. You get 4 patterns in one, solid and the stripe combinations for each of the three bags shown here. Also included in the pattern are two different sized bases so you can make any number of combinations of size, colors and stripes. 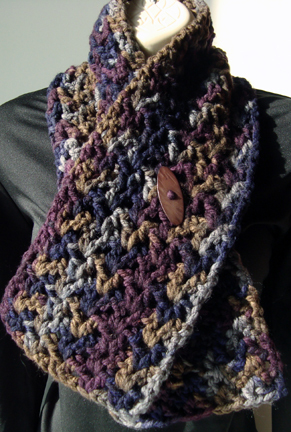 It can be found on Ravelry and at CAP's Crochet on Etsy. I offer full pattern support on all my patterns.